Official names are Deutsche Post AG and Deutsche Post DHL Group. Deutsche Post is the world’s largest postal service and international courier. Post Offices can be found in all German cities and towns, sometimes they are operates as in-store departments of super markets and other businesses. 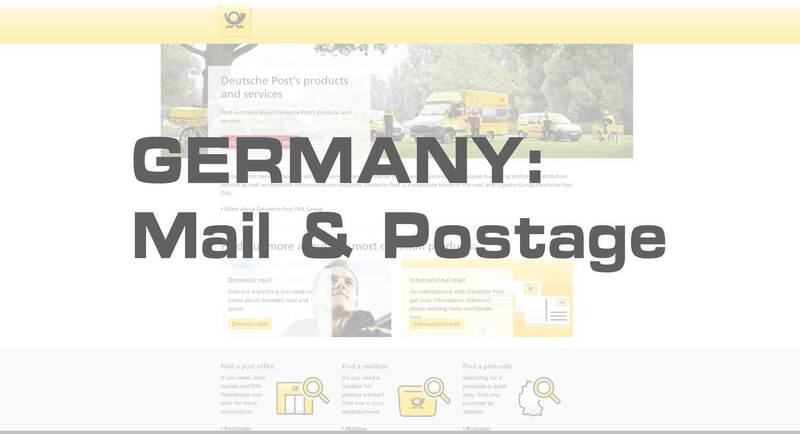 Since rates are subject to change we’d like to refer to the Deutsche Post website will up-to-date information for domestic and international postage rates, letter sizes, weight, etc. Next articleCash or Credit Card for your travel trip to Germany?